Iwas eager to see this new animated comedy series, which features an impressive voice cast including Aaron Paul, Alison Brie, Will Arnett, and Amy Sedaris. 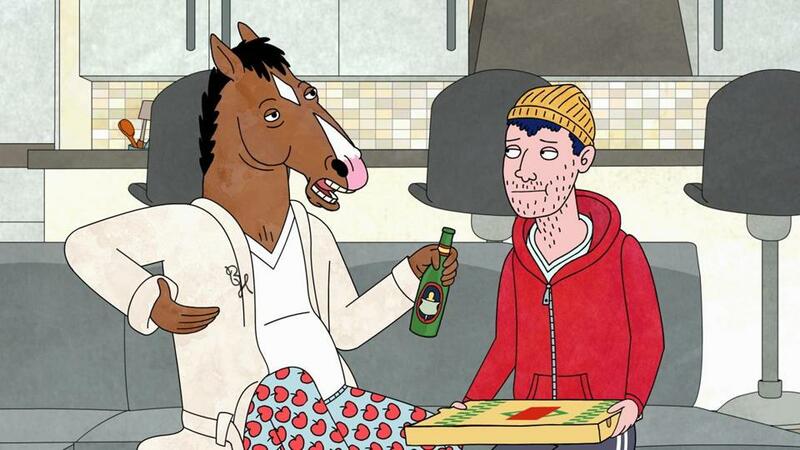 Could “BoJack Horseman” be a new light in the world of adult-themed cartoons, alongside “Archer” and “South Park”? The show, 12 episodes of which Netflix is making available on Friday, has a premise with some potential, in a cringey “The Comeback” kind of way. Arnett plays BoJack, a grouchy and insufferable horse who starred in a cheesy sitcom called “Horsin’ Around” in the 1990s. He has spent the 18 years since cancellation drinking beer on his couch and cashing in on his receding fame with young ladies. His agent and ex, a cat named Princess Carolyn who is voiced by Sedaris, can’t find him work — “You couldn’t even get me in the room for ‘War Horse,’ ” he whines — but he agrees to write an autobiography in a desperate attempt to regain the spotlight. His publisher is Penguin, and his editor is, you guessed it, a penguin. Nah. The show is relentlessly mediocre, and I was as eager to see the episodes end as I had been to watch the show in the first place. For one thing, Arnett is merely redoing the egomaniacal character he has already done to death on TV, on “Arrested Development” and “30 Rock.” His brash, indiscreet dude is a stale joke at this point, a side character who has had way too much prominence in recent years. As BoJack, he’s just pulling out his unredeemable-narcissist-with-a-sandpaper-voice shtick again. BoJack sits watching his old sitcom, grandiose and obnoxious to everyone he meets. After he offends a Navy SEAL, who is a seal, BoJack learns he has to make a public apology. “Do I have to go on MSNBC?” he asks. “No,” Princess Carolyn says, “we should do it somewhere people actually see it.” Surely a satire of show business in the post-“30 Rock” era needs to be a whole lot sharper than that to stand out. Paul F. Tompkins is on hand as a dog named Mr. Peanutbutter, an old sitcom star who is about to do a celebreality show and who is a thorn in BoJack’s side. Like too much about this show, he’s just not funny or distinctive. And Paul, whose voice was monotone and yet expressive and indelible on “Breaking Bad,” is completely wasted here, as the guest who lives on the couch in BoJack’s slick Hollywood home. The sponging roommate is an old sitcom staple, and Bob-Waksberg does little to tweak it. Watching a comedy about a has-been trying to gain relevance shouldn’t feel quite this dated.